Charles Bradley may have been the best hugger in show business. It was tradition at his concerts to walk into the audience and embrace complete strangers like they were old friends — sometimes he even passed out roses. 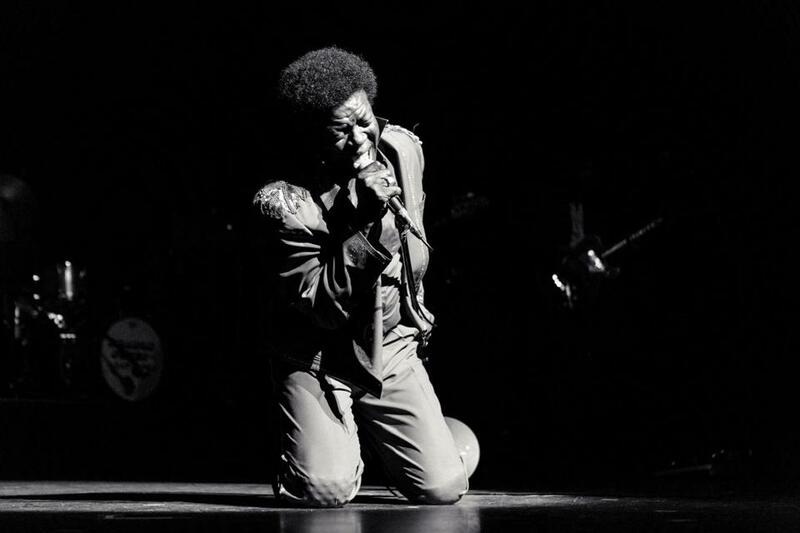 As shown in the 2012 documentary on his life, Bradley faced decades of hardship before finally starting a solo career at the unconventional age of 62. But for all the pain he endured, he was nonetheless committed to spreading love with his music, and he was always grateful to be onstage performing for fans. He had a sound that brought you back to the soulful ’60s, a voice that sent goosebumps up your arms, and a sense of joy that could stick with you for life. “Black Velvet,” released Friday, follows Bradley’s passing last September (he would have turned 70 this week). Posthumous albums are a tricky endeavor, since they’re collections of work in which the artist has no say in their direction. They run the risk of being hobbled packs of demos and half-finished ideas. But with the right guidance, they can also be effective final chapters of a career. This 10-track collection of rarities, arranged by Bradley’s friends at soul-revivalist labels Dunham/Daptone Records, proves to be the latter, with the love and passion Bradley exuded in life fully preserved and present. The record launches with “Can’t Stop This Feeling,” a swift and groovy track from the sessions for Bradley’s 2011 debut “No Time For Dreaming.” Recorded shortly before his breakthrough, the singer belts with the exuberance of someone receiving a new lease on life. “Luv Jones,” a funk-tastic duet with singer LaRose Jackson, sounds ready for a “Soul Train” dance line, while “I Feel a Change” and “Victim of Love (Electric Version)” display the raw power of Bradley’s voice, from his stirring growls to his show-stopping shrieks (he was called the “Screaming Eagle of Soul” for a reason). The covers in the record’s second half — Rodriguez’s “Slip Away,” Nirvana’s “Stay Away,” and Neil Young’s “Heart of Gold” — prove that Bradley’s Black Sabbath cover wasn’t a flash in the pan. The man knew how to transform any song into a jam that was completely his own. Possibly the album’s most bittersweet moment is the title track, an instrumental by Bradley’s longtime bandmates, the Menahan Street Band. It’s a beautifully arranged song — Bradley never had the chance to cut vocals for it — and the record’s emotional centerpiece. “Black Velvet” may have been the name Bradley used when he was working as a James Brown impersonator, but the record serves as the last word for a wholly unique artist who will be remembered as one of the best.